If you look too keenly at the bottom of the stream, you won’t drink the water." Medical students at Cameroon’s Douala University are unhappy that despite having completed their studies in June, they are still waiting for their diplomas to be issued. Quote Message: We finished our school year since June and we are still expecting our diplomas. We finished our school year since June and we are still expecting our diplomas. Quote Message: We need them for many reasons - further studies or classes or to become specialised in diverse fields. We need them for many reasons - further studies or classes or to become specialised in diverse fields. Quote Message: We contacted the university authorities who promised to give our degrees on 18 October. We contacted the university authorities who promised to give our degrees on 18 October. Quote Message: But when we reached that deadline nothing happened. But when we reached that deadline nothing happened. Quote Message: They set a next deadline for 16 November, but again nothing. They set a next deadline for 16 November, but again nothing. Quote Message: They gave a third date – 22 November, once again nothing. They gave a third date – 22 November, once again nothing. Quote Message: The last deadline of 13 December was not respected." The last deadline of 13 December was not respected." Mr Mben said some of the students had even gone to the education ministry in the capital, Yaounde, to ask if there is anything wrong; others had spoken the university rector - but they remained none the wiser. Quote Message: We often give the degrees at the end of the year. There is nothing wrong. It is just a usual calendar that we are following. And we will fix it before the end of the year." We often give the degrees at the end of the year. There is nothing wrong. It is just a usual calendar that we are following. And we will fix it before the end of the year." Six aid workers kidnapped by rebels in South Sudan earlier this week have been released, the UN says. The group, who were working with Solidarites International, HealthNet TPO, and AFOD, were taken on Sunday near the western city of Raja. Lam Paul Gabriel, rebel spokesman, told the Reuters news agency they had been returned with "all their belongings... including their vehicles". It is unclear why they were taken in the first place. A UN source, who did not want to be named, told Reuters they were now in the city of Wau. Alain Noudehou, the UN's humanitarian co-ordinator for South Sudan, welcomed the news that the five South Sudanese citizens and one foreign national were safe. So far this year, 28 aid workers have lost their lives in South Sudan, with nine shot in November. Behind the scenes here at South Africa's governing African National Congress (ANC) conference, the turmoil has continued. There have been legal challenges, more allegations of fraud, and fears that the ANC might yet tear itself apart. But there is a new man in charge of the party now - and today, Cyril Ramaphosa urged his supporters to play it safe. They had already secured the top job for him, he said. If others positions had been stolen by their rivals, so be it... for now. Quote Message: We mustn't allow this conference to degenerate into controversy and legal suits that will nullify the result that we've come up with because what this does, notwithstanding the fact that it may not be what we all wanted, it gives us a beachhead, a beachhead to be able to start the process of re-instilling the values of our movement in the ANC." We mustn't allow this conference to degenerate into controversy and legal suits that will nullify the result that we've come up with because what this does, notwithstanding the fact that it may not be what we all wanted, it gives us a beachhead, a beachhead to be able to start the process of re-instilling the values of our movement in the ANC." What Mr Ramaphosa really means is fighting corruption – taking on the crooks who have, in the eyes of many, turned Africa’s oldest liberation party into a looting machine. Mr Ramaphosa’s first and biggest test comes in the awkward shape of President Jacob Zuma – he’s still in charge of South Africa, and still weighed down by scandal. Mr Ramaphosa is likely to try to force the president to step down soon. But he’ll need the ANC’s support. Then again, the courts here may help. Mr Zuma has been fighting off multiple corruption allegations, for years. But the High Court is now moving firmly against him, and against his perceived allies in the justice system. It is still a muddle here. But it does feels as if power is slipping away from the president, and towards the new man - Mr Ramaphosa. Read: Will Jacob Zuma be ousted as president? An express train run by Botswana Railways has restarted its service between the border town of Francistown and Zimbabwe’s second city of Bulawayo. According to Zimbabwe’s state-run Herald newspaper, the service was stopped in the early 2000s when the Zimbabwean economy nose-dived. The service will initially be on a trial basis, the paper says. It quotes National Railways of Zimbabwe (NRZ) public relations manager Nyasha Maravanyika as saying he was confident the service would prove popular. Quote Message: It is going to help in terms of tourism as some people will come to Francistown and connect to Bulawayo and Victoria Falls. It is going to help in terms of tourism as some people will come to Francistown and connect to Bulawayo and Victoria Falls. Quote Message: They can use the railway network as NRZ already has a running train connecting the areas. It will also be convenient for small and medium enterprises businesses or the cross border traders as they can use the train for convenience purposes especially at the Plumtree border post." They can use the railway network as NRZ already has a running train connecting the areas. It will also be convenient for small and medium enterprises businesses or the cross border traders as they can use the train for convenience purposes especially at the Plumtree border post." A Kenyan school raided by police overnight has no links to terrorism, an iman who knows the madrassa has told the BBC. The raid resulted in almost 100 children being taken into custody, and the arrests of four of their teachers. At least 30 children are still being questioned by police. Local media reports suggested the raid was linked to counter-terrorism, following a concerns the children might be being indoctrinated. But a spokesman for the Kenyan Council of Imams, Hassan Omar, categorically denied the school had any links to extremism. Quote Message: "It's a lie. It's not true. We know those teachers. We know that mosque. They have no connection with terrorism. "It's a lie. It's not true. We know those teachers. We know that mosque. They have no connection with terrorism. Quote Message: They're simply unhappy that the madrassa is teaching religion and the Koran. It's absolute nonsense. We know those teachers and I have gone to that madrassa myself." They're simply unhappy that the madrassa is teaching religion and the Koran. It's absolute nonsense. We know those teachers and I have gone to that madrassa myself." You can read our earlier story on the arrests here. Zimbabwe's new President Emmerson Mnangagwa has vowed to bring his country in from the cold. In his first state of the nation address since taking office last month, he promised to make Zimbabwe an attractive investment destination once again. Under his predecessor Robert Mugabe, the country was isolated thanks several controversial policies and a poor human rights record. The speech comes against a backdrop of restlessness over soaring food prices and high levels of unemployment. President Mnangangwa has presented his plans before in several speeches since taking office - and there are very few surprises here. His main focus remains preparing for credible elections next year and fixing the economy. He has laid out a detailed plan liberalising policies, in the hope that Zimbabwe will once again be attractive to investors. For the opposition, what his speech missed were the political details – like whether there will be reforms to the state media and electoral management body. They believe key institutions have given the ruling Zanu-PF party an unfair advantage in previous elections. Four years after it opened its doors to people fleeing violence in South Sudan, the UN is closing its first protection site. It was opened next to the UN base in Melrut, in the Upper Nile region, after civil war broke out in 2013. But now the people who sought shelter there have said they feel safe enough to go home. The UN has been working with humanitarian agencies to return families either to Melut town, their home villages, or another UN protection site. Quote Message: It’s gratifying to finally see people feel safe enough to go home. There is conflict across much of South Sudan where people fear for their lives. But in some areas, like Melut, we are able to help people out of the camps back to their communities." It’s gratifying to finally see people feel safe enough to go home. There is conflict across much of South Sudan where people fear for their lives. But in some areas, like Melut, we are able to help people out of the camps back to their communities." Unmiss has provided sanctuary to almost 210,000 people displaced by the on-going conflict in South Sudan. It now hopes the closure of this camp will allow troops to focus on patrols, making other areas safer and allowing more people to return home finally. Police in Mozambique say they have dismantled a gang of cattle thieves operating in the central province of Manica. In total six members of the gang have been detained - all confessing to stealing animals. They said they had resorted to taking cattle in order to help feed their families, especially over the festive season. Announcing the arrests, police commander Gelindo Vumbuca urged everyone “to become more vigilant” to confront the “evil” of cattle theft. 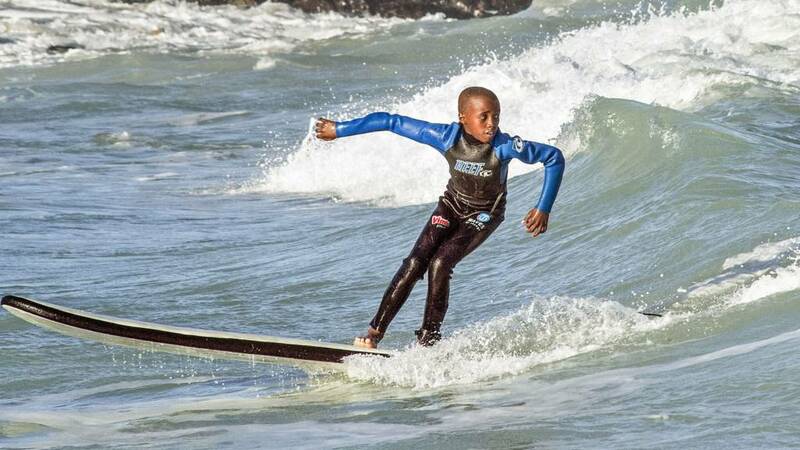 A man has been charged with disorderly behaviour after a brawl at an Australian beach following the death by drowning of a 15-year-old Burundian boy. Eliase Nimbona was pulled unconscious from the water at Adelaide's Glenelg Beach on Monday. Video posted on social media appears to show the man yelling racial slurs at a group of his friends shortly after. He calls them "dogs" and "weak", sparking a violent reaction. Some of the boys turn on the man, punching and kicking him. Members of the public can be seen trying to break up the fight, with one woman yelling "stop it, stop it". Eliase had been attending a birthday party at the beach, local media reported. He was found floating face down in the water. Paramedics attempted to resuscitate him but he died at the scene. The Facebook user who posted the video accused the man of "instigating" the fight, and said he had been "filming and mocking the grieving families". Police said fight had broken out shortly after Eliase's death, but could not confirm the incidents were directly related. Nigeria's National Intelligence Agency (NIA) will be re-organised following an investigation into its activities, the country's president announced. Details of the investigation have not been made public, but a spokesperson for President Muhammadu Buhari told the BBC that the NIA would be re-organised for "effective service delivery". Burkina Faso is banning imports from North Korea to comply with UN sanctions, the AFP news agency quotes the government as saying. The UN measures were passed in September to restrict oil imports and ban textile exports - an attempt to starve North Korea of fuel and income for its weapons programmes. But an inquiry in October by the US - which has been pushing for tougher sanctions - found that Burkina Faso was still trading with North Korea. Quote Message: Following this inquiry, we conducted a thorough investigation... and found that there were economic operators importing from North Korea. Following this inquiry, we conducted a thorough investigation... and found that there were economic operators importing from North Korea. Quote Message: Instructions have been give to the two ministries to end these importations." Instructions have been give to the two ministries to end these importations." Officials figures show the West African country imports from North Korean, which were mainly petroleum products, amounted to about $6.8m (£5m) in 2016, AFP reports. Read more: Which countries are still talking to North Korea? Uganda's parliament has passed the first vote today on the contentious bill to remove the presidential age limit, with a two-thirds majority. There will now be a further reading of the bill, which would allow President Yoweri Museveni to run for a sixth term in office. At the moment a candidate must be under 75 to run for president. The bill will now be debated clause by clause and then put to a final vote. The ruling party wants the legislation passed by the end of today. Villages around Mamfe in Cameroon's Southwest region are emptying out as government security forces continue to clash with unidentified gunmen labelled "secessionists". The people say they are living in fear and do not know what the future holds for them as there is a constant, heavy military presence. Quote Message: Life is difficult for us here; if the military ask the villagers to stop and they don’t, they are shot. Life is difficult for us here; if the military ask the villagers to stop and they don’t, they are shot. Quote Message: As I am talking to you, I am indoors; we gauge the atmosphere before we go out to get food to eat. As I am talking to you, I am indoors; we gauge the atmosphere before we go out to get food to eat. The villager, who asked not want to be named, concluded by saying he intended to leave and would flee the region by Saturday at the latest. Tanyi Robi is one of the four Mamfe chiefs who have sent out a statement calling for calm on both sides. They have pleaded with the government to reduce the heavy military presence so life can return to normal. Quote Message: We are calling on the population to co-operate with the forces of law and order and stop provoking the military." We are calling on the population to co-operate with the forces of law and order and stop provoking the military." Flamboyant Nigerian senator Dino Melaye has every right to have fun and act like a star in music videos if he wants to, Afro-Trap singer Kach has told the BBC. The two have caused quite a stir after starring together in Kach's latest music video - which comes complete with girls, flash cars and a whole lot of $100 bills. It is especially galling to some as civil servants in Kogi, Mr Melaye's home state, have not been paid their salaries, some for as long as a year. But Kach told BBC Pidgin the video, which was only posted a day ago, has already racked up 16,000 views on YouTube, as well as numerous reviews - both good and bad. “People are just perplexed over the fact that our senator is in the video and all but he was there to support me, and I see nothing wrong with it,” he shrugs. Kach revealed he met Mr Melaye over social media after the senator heard of a song with his name as its title. Kach, whose father is Minister of Petroleum Resources Ibe Kachikwu, reiterates that he did not use his father’s position to advance his career. “If it were up to my dad, I would not be in music,” he said. He seems to have no regrets concerning the way his video is trending because “whatever people say, whether it be good or bad, it still helps the music”. A UN group has warned Ghana's peace and stability is being undermined by mercenaries and private security groups flooding the country. One expert said the ratio between private firms and the number of police officers was "the most worrying I’ve seen in any country". According to government figures, there are about 400 private groups which employ around 450,000 people, but only 33,000 police officers. Added to this, members of the the UN working group on mercenaries noted an estimated 1.3m illegal weapons have been smuggled into Ghana, as well as the spread of vigilante groups and armed individuals. The group has called for the government to bring in tough measures against such companies, many of which have not had basic training on issues like human rights. Police officers in Nigeria are on the hunt for fake drugs to save lives by raiding markets in Lagos. It's part of a crackdown on the sale of counterfeit prescription drugs, which account for nearly a third of medication in some parts of Africa, according to the The World Health Organization. Watch this video by the BBC's Didi Akinyelure and Ayo Bello - one doctor told them that a patient woke up mid-surgery when the drugs used to sedate them turned out to be fake. Biggest corporate corruption trial in history? The case against oil giants ENI and Shell on allegations of corruption in Nigeria could be one of the biggest corporate corruption trials in history, says Global Witness. The anti-corruption watchdog reacted after a judge said the case is going to be heard in an Italian court next year after a lengthy investigation by Italian prosecutors. The prize was nine billion barrels of crude oil - an oil block off Nigeria’s coast secured by Shell and ENI in 2011. But the allegation is that the oil giants paid a huge bribe to get it, paying Nigerian politicians. Now the two companies are being formally charged, as well as the current CEO of ENI and former senior executives from Shell. The prosecution say the oil companies used a middleman called Dan Etete to pay the bribe. Mr Etete will also go on trial. Emails sent between Shell management, which were released by anti-corruption watchdog Global Witness in April, suggest Shell was aware the money would end up in the pockets of Nigerian politicians. But both ENI and Shell say there is no case against them (see earlier entry). At least two people have died after fire ripped through a nightclub in the lakeside city of Kisumu in western Kenya. Rescue workers pulled two charred bodies from burnt rooms of Dream City nightclub, located on the outskirts of Kisumu. Others are said to have escaped with injuries as firefighters battled the early morning blaze. Kisumu county police commander John Kamau said four people were safely evacuated from the nightclub when the blaze started. He added many could still be trapped in the debris. Witnesses said the fire started on the first floor of the building, which has more than a dozen guest rooms. The cause of the fire, which reportedly broke out at 04:00 local time (01:00 GMT), is yet to be established, although police suspect could be an electric fault. Oil giants Eni and Shell are to stand trial in Italy over allegations of bribery and corruption over the purchase of offshore oil block in Nigeria in 2011. According to the AFP news agency, a judge in Milan ordered proceedings to begin on 5 March next year. In a statement, ENI said its board of director had reaffirmed its confidence that the firm was not involved in “alleged corrupt activities in relation to the transaction". Quote Message: ENI expresses its full confidence in the judicial process and that the trial will ascertain and confirm the correctness and integrity of its conduct." ENI expresses its full confidence in the judicial process and that the trial will ascertain and confirm the correctness and integrity of its conduct." The Italian company also insisted its chief executive, Claudio Descalzi, who is also to face trial, “was not involved in the alleged illegal conduct". Shell said it was disappointed by the decision. Quote Message: We believe the trial judges will conclude that there is no case against Shell or its former employees. We believe the trial judges will conclude that there is no case against Shell or its former employees. Quote Message: Shell attaches the greatest importance to business integrity. Shell attaches the greatest importance to business integrity. OPL 245 is an oilfield off the coast of Nigeria with an estimated nine billion barrels of oil worth more than $1bn (£746m). It is alleged the money paid to the Nigerian government was passed to a convicted money-launderer. For more details about the allegations, read this piece by the BBC's Simon Jack from April 2017.